Our Oil Cruets are perfect for storing and pouring your favorite cooking oils. 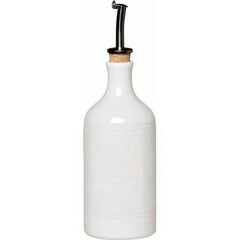 Emile Henry's Oil Cruet is handcrafted from burgundy clay from the Burgundy region of France. You can pour precisely the amount of oil you wish, and the anti-drip pourer remains clean.